Discover a new and exciting card game! Cards are dealt face up, no bluffing -- pure strategy and skill. Balance the power of your rows. Beware of fouling and unmercifully exploit your enemies' mistakes. Easy-to-learn rules, quick and dynamic gameplay with a comfortable interface - this game is pure addicting fun. Give it a try! It turns out that Asia does not need European or America rules for the game of poker. China has its own variant of this popular card game, called “Chinese poker” – and you can play it too, thanks to the GameDesire service. Jason Mercier, a many times poker champion – including a win at one of the most famous tournaments, the European Poker Tour, said on his blog that his first encounter with Chinese poker was quite singular. As soon as he had learned the rules, he played it non-stop for 34 hours, slept nine hours and returned to the tournament for the next 20 hours. Chinese poker is a game that does not require too much concentration from the player, and can even be very relaxing and soothing. It is an excellent form of relaxation and pleasure for unwinding after a long and tiring day. Despite that, the decisions taken during the game can determine victory or defeat. 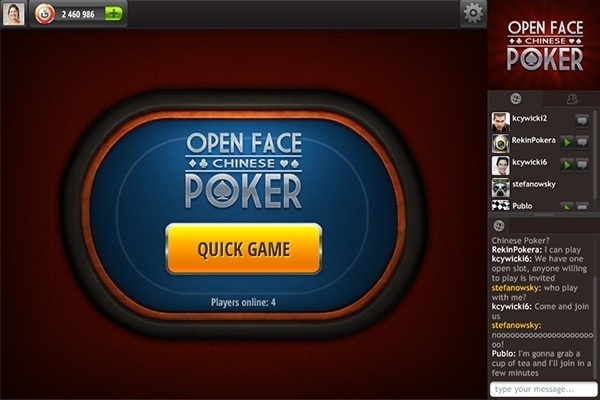 It all adds up to a first encounter with Chinese poker that can turn into hours of engrossing gameplay. Surprisingly, no one has so far not fully figure out all the combinations in Open Face Chinese. Some even make the bold assertion that it is a question to which there is no possible answer. Perhaps this is why Chinese poker has such a hypnotic draw. 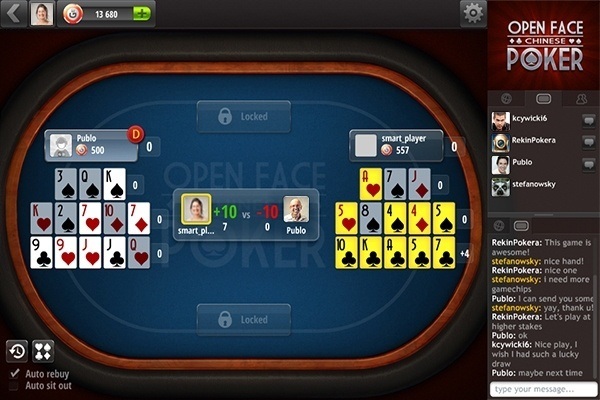 It provides a lot more fun than any other poker variation, in which dozens of strategies have been developed with the aim of gaining an advantage over opponents. The loose form of the game does however force us to think at some moments, converting and building hands in order to avoid the scrutiny of opponents at every moment. The only way to become an experienced Chinese poker player is persistent practice, and you should start now – especially as it is so much fun. Open face Chinese is largely based on planning and making the right decisions. Each player is initially dealt 13 cards from the deck (five at the beginning and then eight one by one), which they arrange into three hands (on a 3-5-5 pattern), from strongest to weakest hand. Winning hands are those that contain the strongest cards, which multiply your number of points. At the beginning the dealer deals five cards to each player. The cards can be placed anywhere on the table, but it is extremely important to remember that they cannot be moved to another position once set in place. Then, a further eight cards are distributed to each player. These go onto the bottom line (five cards), the middle (five cards), and the top (three cards). The rules state that the cards and subsequent combinations must be arranged thus: weakest in the lower section, followed by the middle section, then the strongest on top. If they are not arranged in the correct order, a “mis-setting” (foul) will occur, and the hand is forfeited. Cards are selected by the players until each has 13. 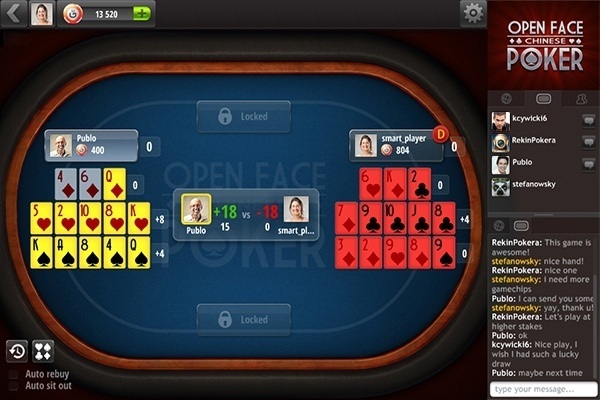 Anyone who is bored with well-known variants of poker, in which every move and strategy have long since been developed by professionals, will find something for them in Chinese poker. By playing online, you can join the game popular in Asian countries without the need for expensive and difficult to obtain tickets to distant China. 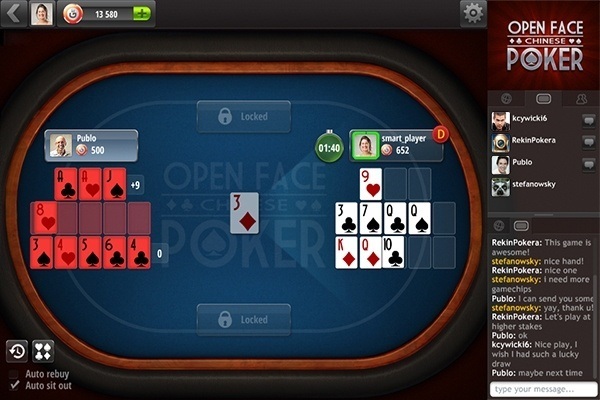 Poker masters themselves will tell you that playing Open Face Chinese Poker will not result in a 15 minute game. Go to GameDesire to set up your free account and start the game! And if you are interested in different card games, check out poker and thousand. With GameDesire you don’t have to waste time seeking gaming partners, because they are already there and waiting for new Chinese poker players. Win, share their experiences and experience intense emotions alongside other members of the GameDesire community.